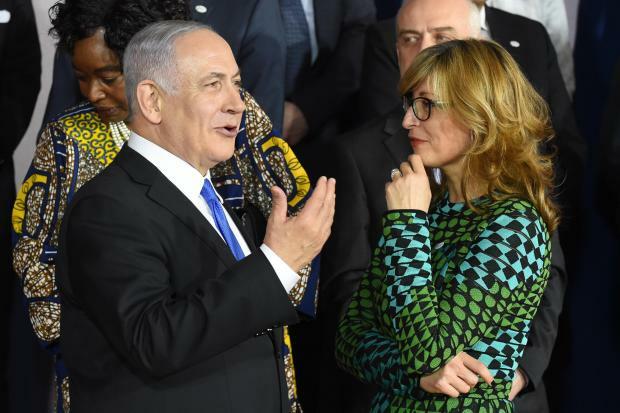 Prime minister of Israel Benjamin Netanyahu and Bulgaria's Foreign Minister Ekaterina Zakharieva are pictured during the conference on Peace and Security in the Middle East in Warsaw. The opening dinner Wednesday night of the two-day, US-organised conference marked "a historical turning point," Netanyahu told reporters. But most European powers are sending low-level representation, wary of the hawkish line on Iran by President Donald Trump who withdrew from an international accord on curbing Tehran's nuclear programme.